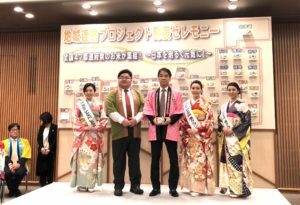 1 Asami Sudo, 2018 Miss SAKE, joined the press release ceremony of new projects of the “2018 Good Work Establishing Fair” with Miss Aya Amelia Kodama and Miss Masayo Hori. 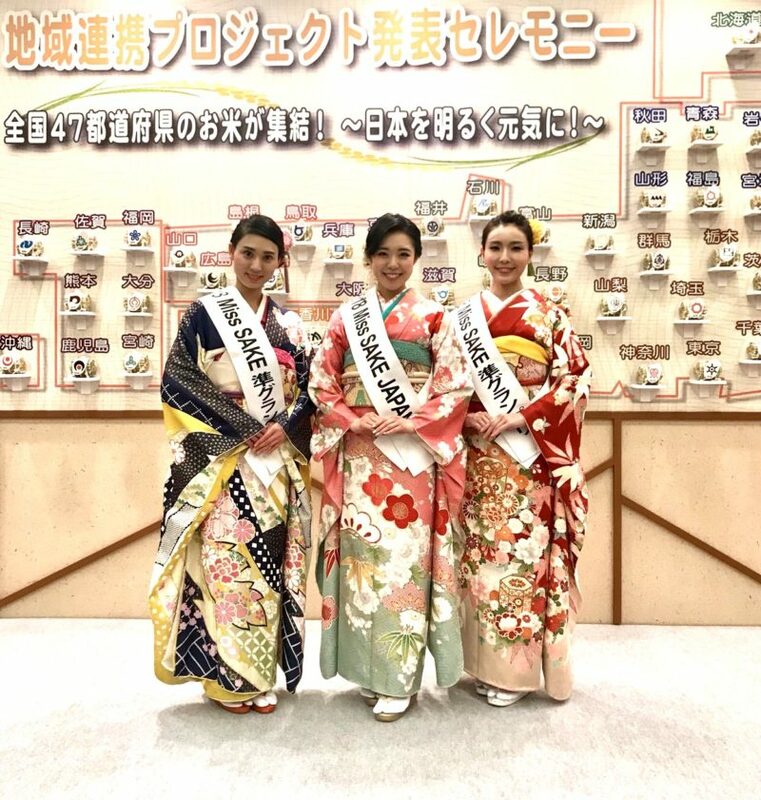 Asami Sudo, 2018 Miss SAKE, joined the press release ceremony of new projects of the “2018 Good Work Establishing Fair” with Miss Aya Amelia Kodama and Miss Masayo Hori. 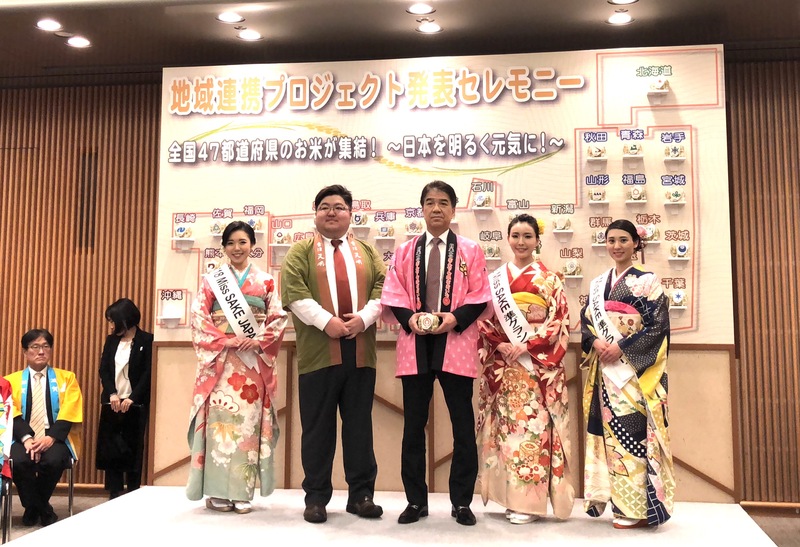 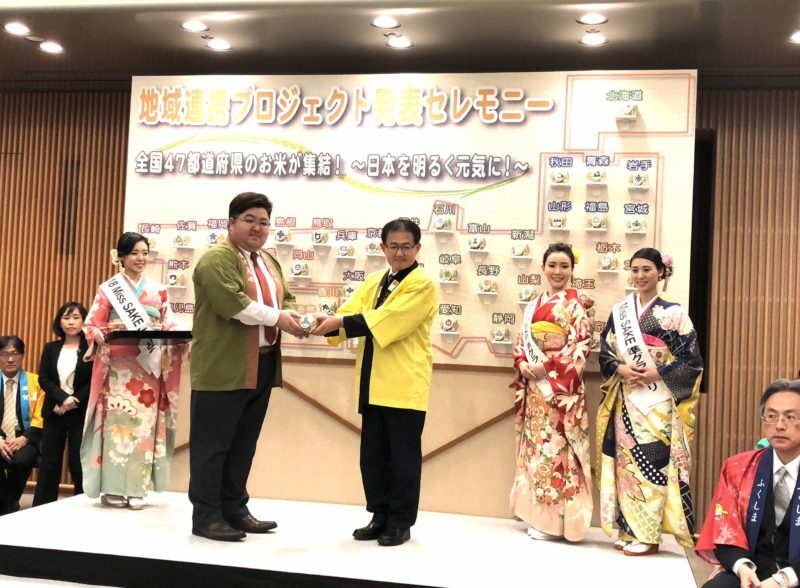 On April 10th, I joined the press release ceremony of new projects of the “2018 Good Work Establishing Fair” with Miss Aya Amelia Kodama and Miss Masayo Hori. 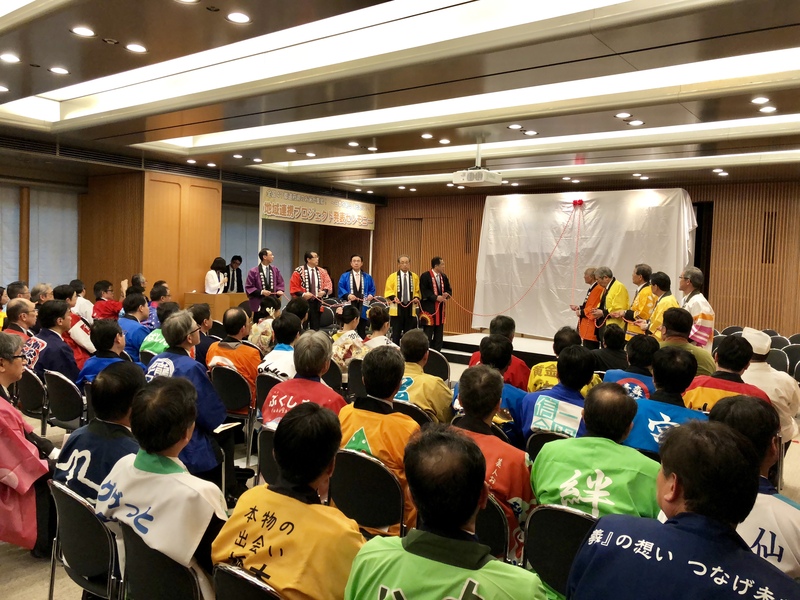 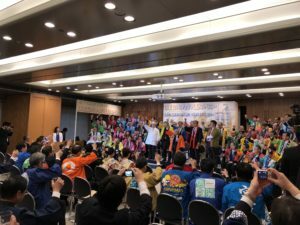 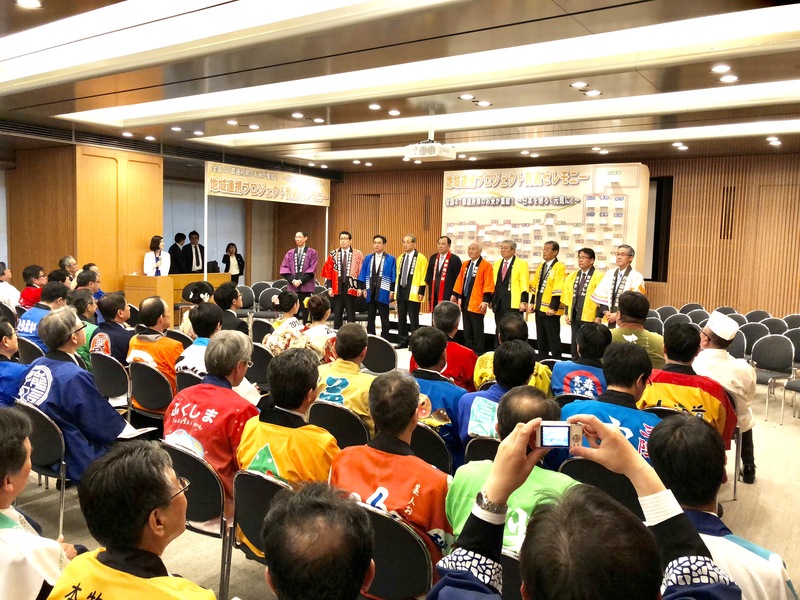 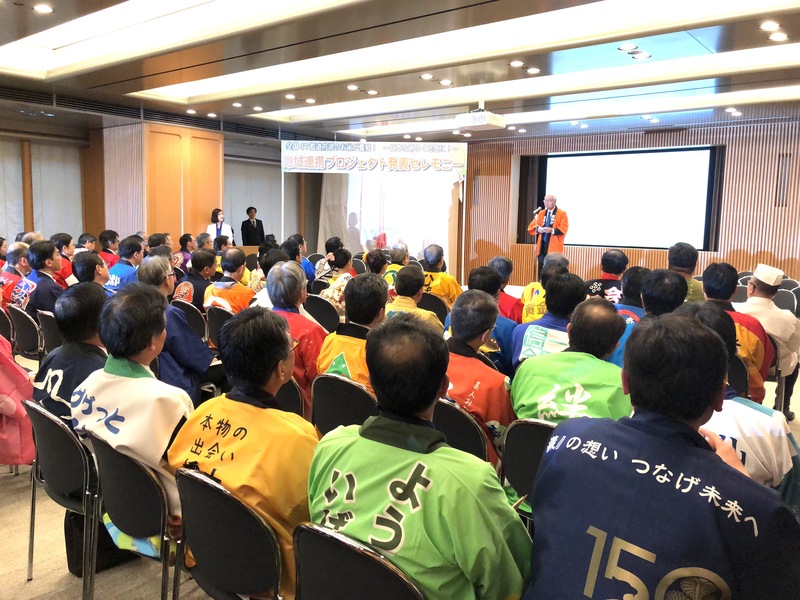 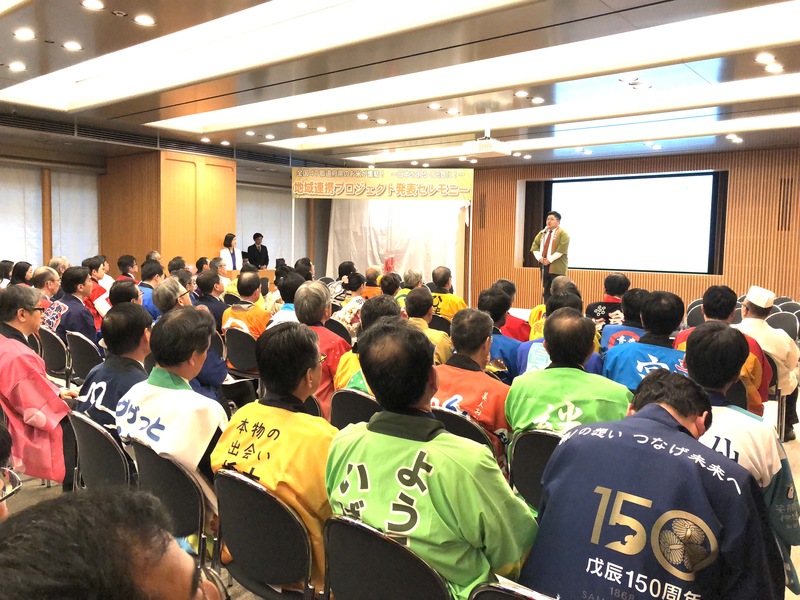 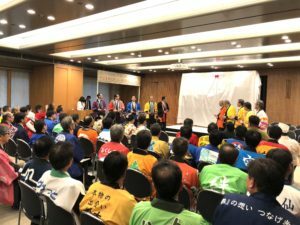 The “Good Work Establishing Fair” is a business meeting that 194 credit associations from all over Japan conduct for regional alliances and restoration assistance following the Great East Japan earthquake. 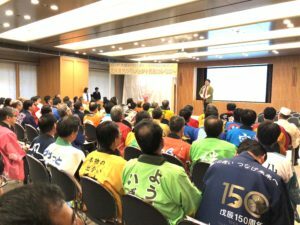 The fair is going to be conducted on September 19th and 20th at the Tokyo International Forum this year. 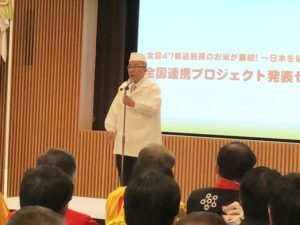 Last year, they carried out a “special sake project” to brew sake from disaster-stricken areas’ rice. 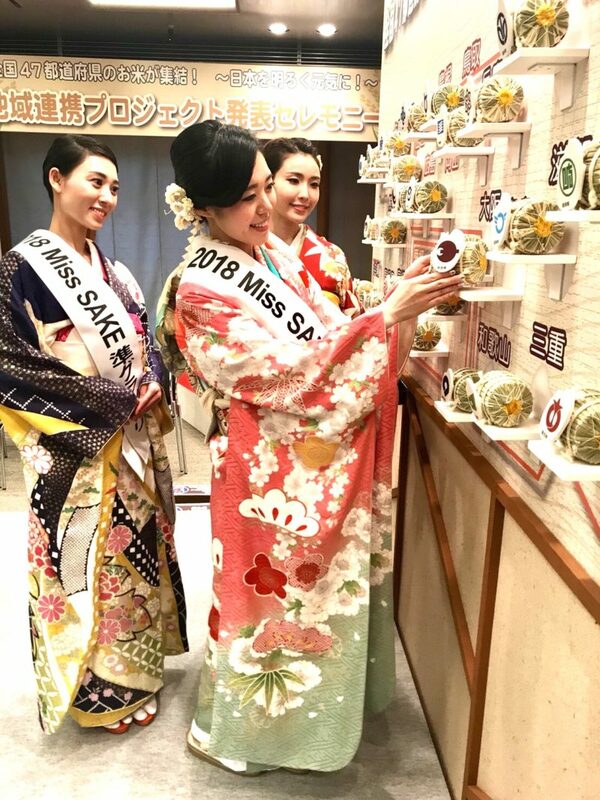 The sake was named “Kiyu”, meaning tightening bonds, and attracted lots of attention at the fair. To brew sake from the blended rice, all the rice will be collected in Fukushima prefecture, where the Akebono sake brewery will brew the special sake. 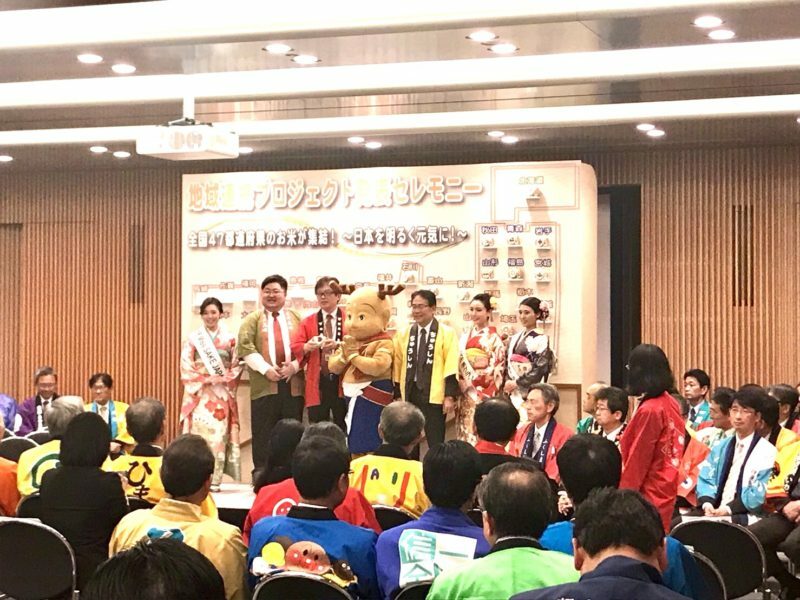 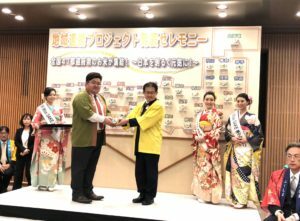 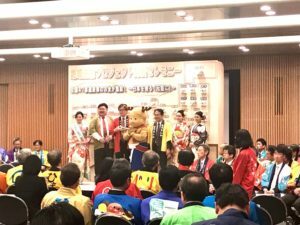 At the press release ceremony, to symbolize the project, Mr.Suzuki from the Akebono sake brewery was handed 47 straw rice bags by 47 prefectures’ credit association representatives. 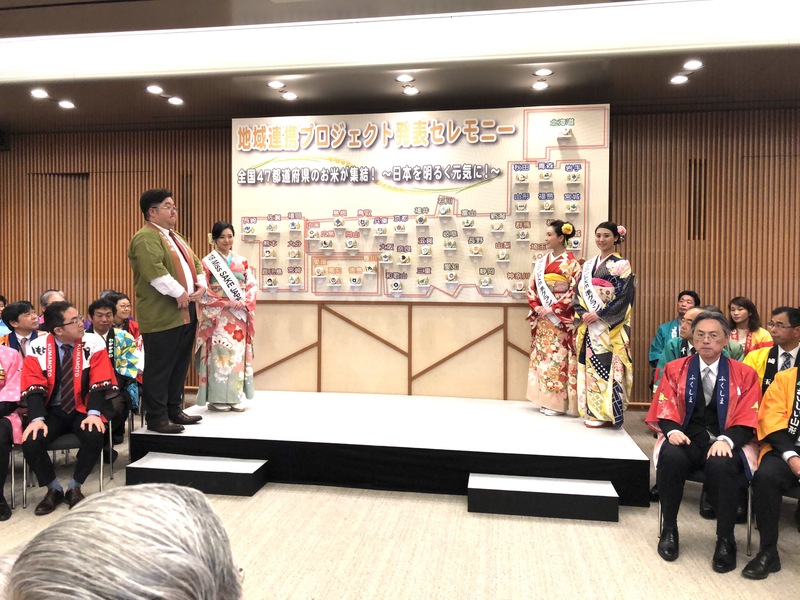 The rice bags were collected on a big panel to make a Japanese map, and we had a chance to help the symbolizing ceremony. 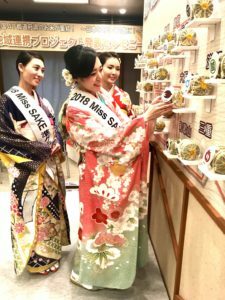 As the “rice ball Japanese map” were made up one by one, we could feel the unity of Japan as well as its diversity. 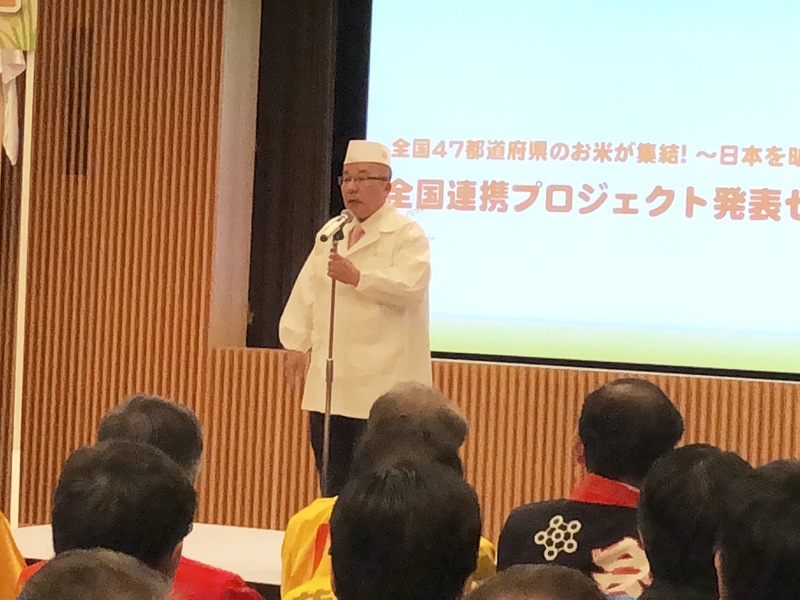 The special sake from Japanese 47 prefectures’ rice are going to be “Junmai Daiginjo” by making its polishing ratio 47%. 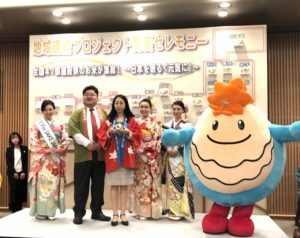 The 3 projects to express regional cooperation by drinking and eating experiences will be sure to give us power and deep impression. You can see the projects’ results on September 19th and 20th at the Tokyo International Forum, and part of the profits will be donated for reconstruction work in the disaster area. 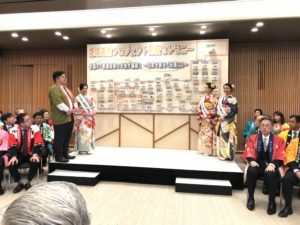 It was honor for us to join such a great ceremony. 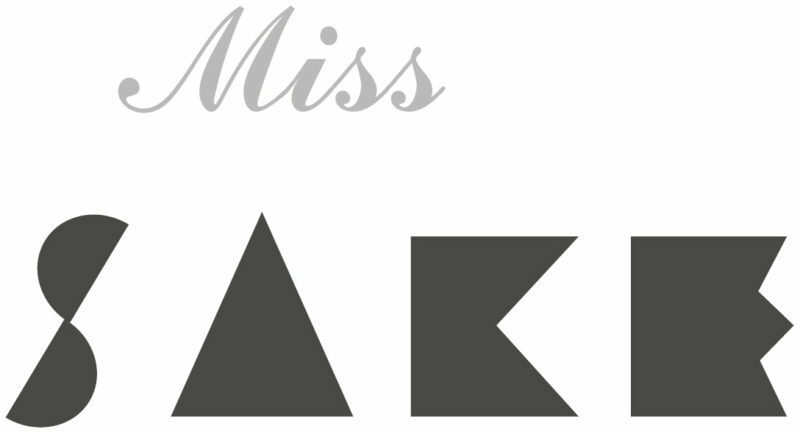 We’d like to express our deep appreciation.